We have a wide selection of lumber for woodworking, and construction conveniently located in our drive thru. 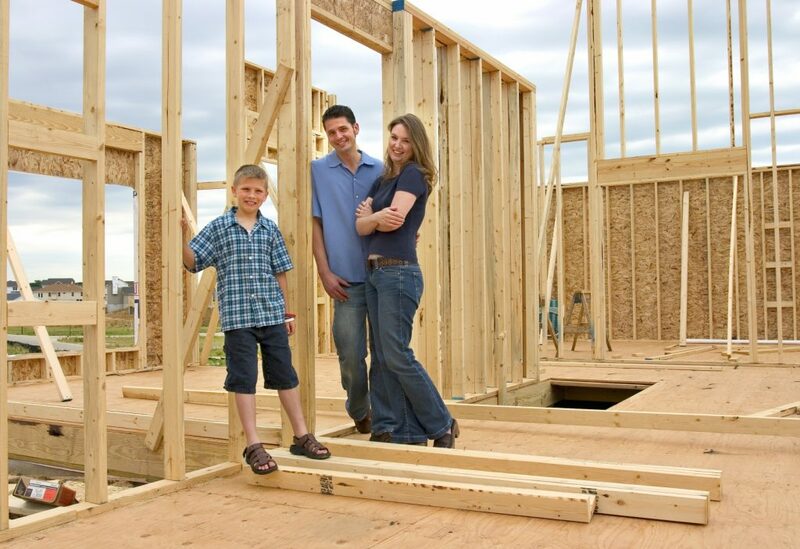 Including dimensional lumber, treated wood, studs, timbers, cedar wood, pine boards, hardwood and more. 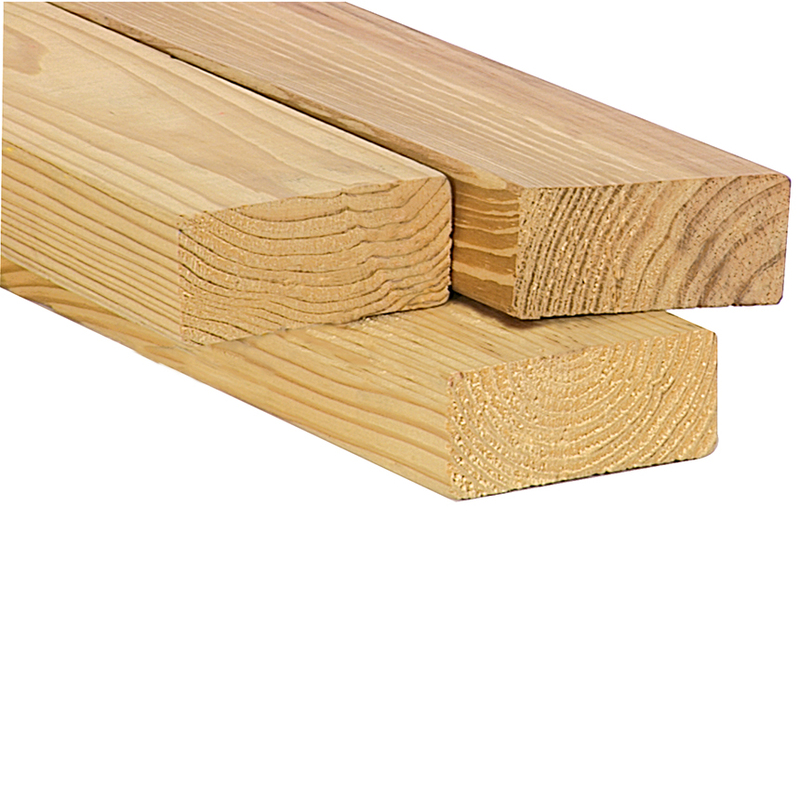 Builders stocks SPF lumber (a mixture of spruce, pine and fir). 2×12 boards douglas fir, and 1×2 firring strips are white pine. It is all graded #2 or better in the Canadian grading scale or standard to better in the American grading scale. 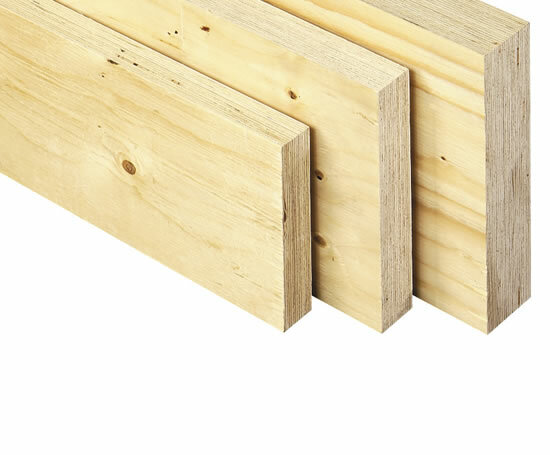 Our treated lumber is “ACQ”, a replacement for the old “CCA” treatment. It is treated to a retention of .40, (suitable for ground contact). Treated lumber resists rot and decay, and is ideal for decks, fences and other outdoor projects. Poplar is a good wood for painting and is commonly used as a craft wood. 1×6 to 1×8. 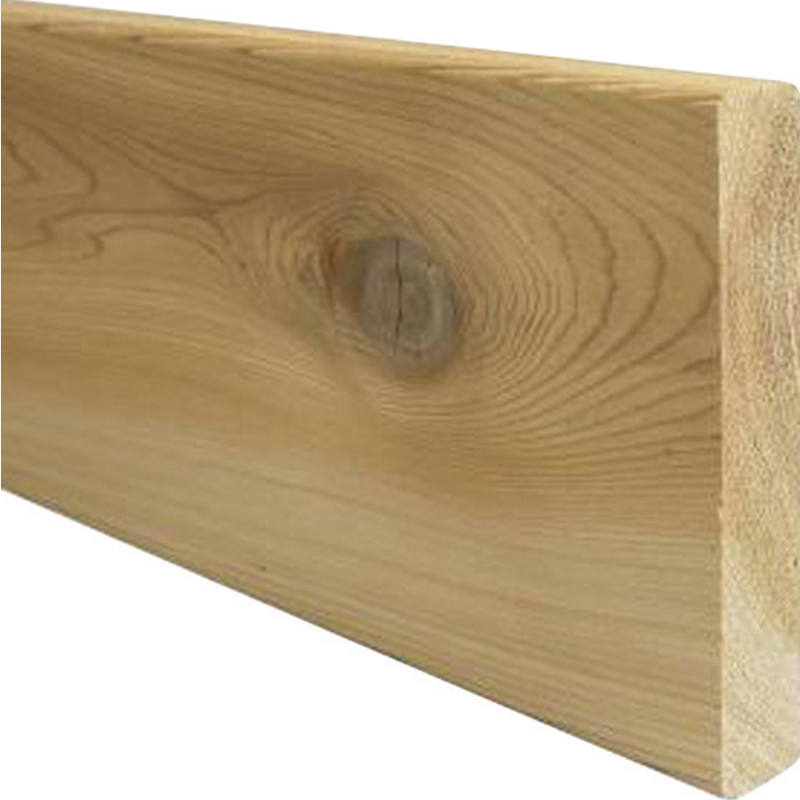 Cedar lumber naturally resists rot and decay. It weathers well and resists twisting and warping. 2×4 to 2×12. Made from chips of wood. Strong and economical. Used mostly for roof and exterior wall sheeting. A note on plywood grading: A finished plywood sheet is designated by the grades of its face and back veneers respectively, with ratings of A (sanded and smooth) through D (checks, knots, and splitting permitted). 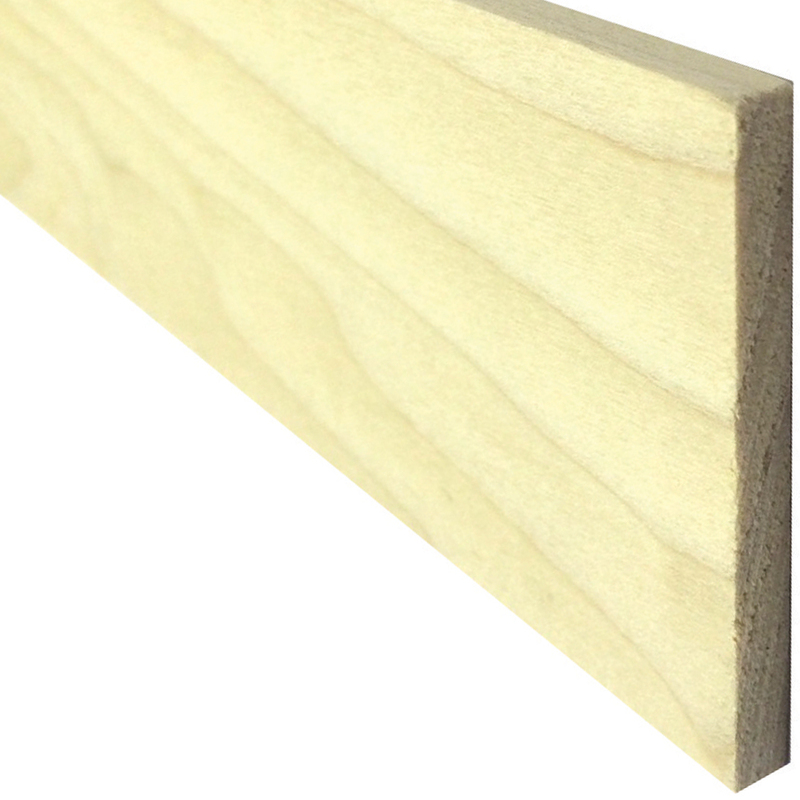 We stock 2 common types: A-C: With an A face and a C back, this is a common plywood for use where one smooth, solid face required, such as cabinet making, signs and some types of painted paneling applications. C-D-X: A common panel for use on roof and wall sheathing where strength and moisture durability are important, but because the panel will be covered, appearance is not a big factor. We stock “veneer core” oak and birch plywoods. Product tip: Veneer core is the most common core type, with all inner plies made from softwood or hardwood veneer. Structural strength and stability make veneer core panels particularly suited to cabinet and casework. 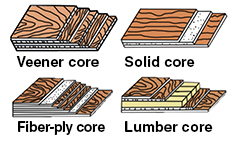 Other core types are “solid core” with an MDF or particle board core, “Fiber-ply core” a combination of veneer and solid core, and “lumber core,” where veneer core crossbrands are laminated on both sides of glued-up strips of lumber. 4′ x 8′ 3/4″ thick sheets, all are tongue and groove. 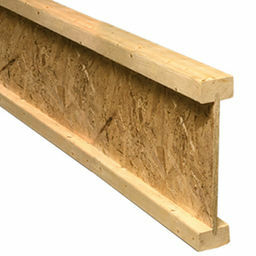 We offer 4 types of subfloor: CDX plywood, OSB plywood, and specialty sheets from LP (HI-performance CDX) and Advantek OSB, both of which are no-sand sheets. 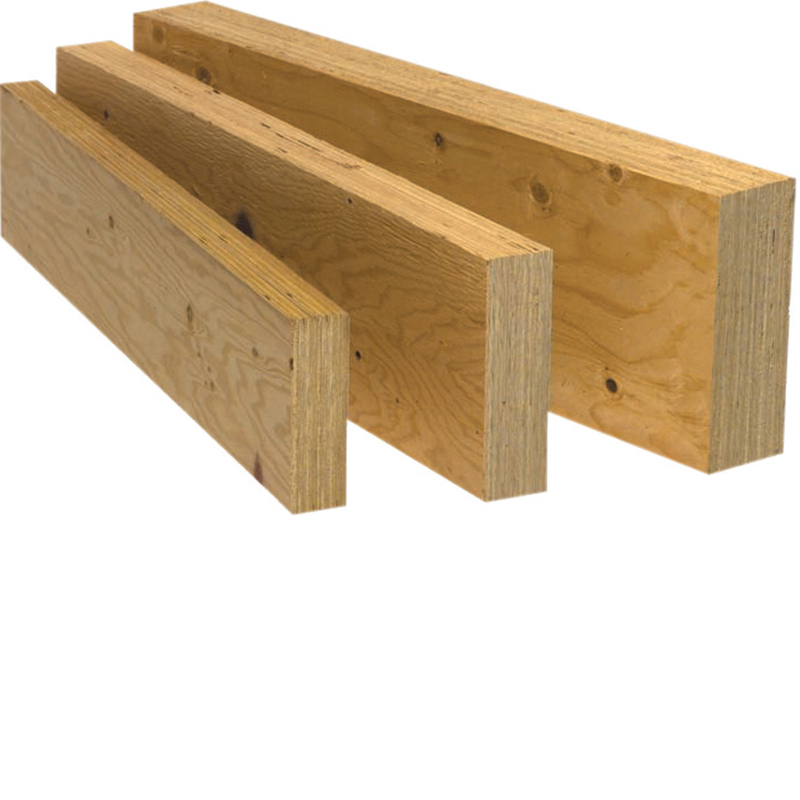 Typically used for shelving and other utility applications. Designed for countertops and other applications where strength is more important. Available in 48″ x 97″ sheets and 25″ x 145″ countertop sheets. 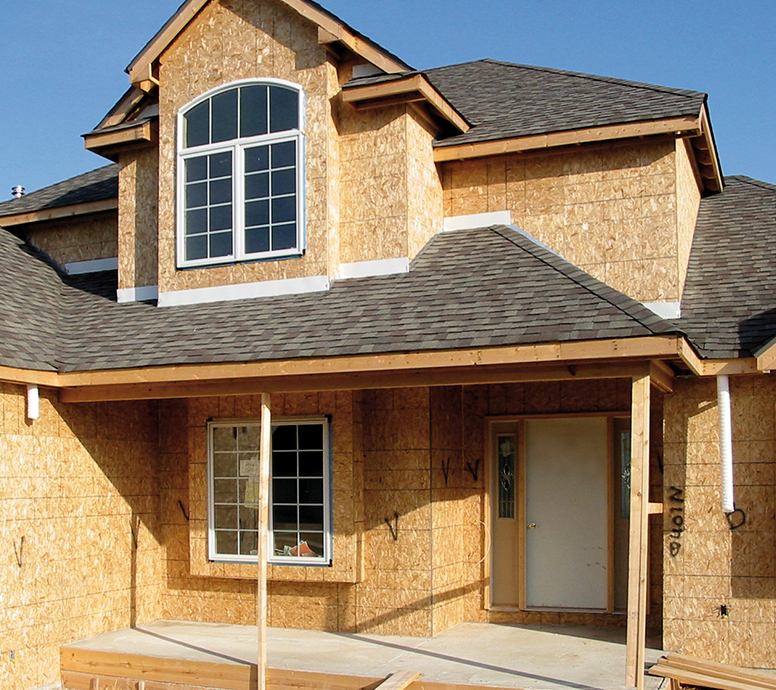 Our 4′ x 8′, 3/4″ medium density overlay board has 1 side with a papery surface on an exterior grade plywood. It is often used for sign or mural substrate. Melamine is a white laminated sheet with a particle board core. We stock a 2-sided, 4′ x 8′ 3/4″ sheet. Durock brand cement board is a high-strength ceramic tile backer board that delivers a water-durable tile base for walls, ceilings, and countertops – anywhere tile is used. The board will not swell, soften, delaminate or disintegrate; it is also noncombustible and carries a 30-year limited warranty. It is stocked in 4×4 5/16″ sheets for walls or 3×5 1/2″ sheets for floors. It’s James Hardie’s original fiber-cement underlayment and still the standard-bearer in backerboard. Produced with James Hardie’s proprietary formulation, Hardibacker is available in 1/4″ thickness for both floors and walls. This no-mesh backerboard cuts quickly and easily, even in tight, awkward spaces. It’s simple, clean, and fast to install. Hardibacker comes with a 20-year transferable limited warranty. 4×8 1/4″ thickness. Typically used to create a smooth surface for vinyl flooring- check flooring info to verify mahogany plywood will not void product warranty.